ESPN and Disney Direct-to-Consumer and International today announced today an extensive line up of exclusive boxing programming for ESPN+, the new direct-to-consumer sports streaming service launching April 12. Additionally, through an expansion of ESPN’s agreement with Top Rank, ESPN+ will add 12 exclusive world-class Top Rank on ESPN cards to the annual line up. 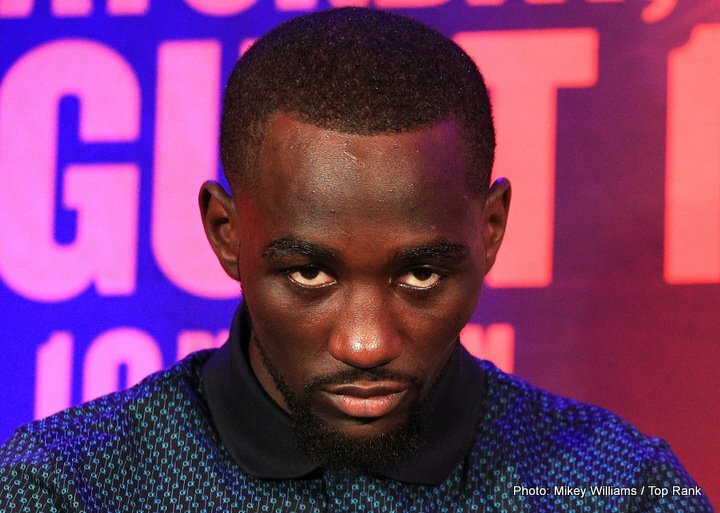 The monthly live ESPN+ events start Saturday, June 9, with a world championship bout showcasing pound-for-pound superstar Terence “Bud” Crawford as he seeks to win a world title in a third weight class when he challenges welterweight world champion Jeff “The Hornet” Horn at the MGM Grand Garden Arena in Las Vegas. ESPN+ will also exclusively stream six international Top Rank on ESPN cards per year, giving subscribers access to some of the sport’s best international fights. The first international live event to stream on ESPN+ will be Saturday, April 21, when former unified junior welterweight world champion Amir Khan faces Phil Lo Greco in a welterweight battle, live from Liverpool, England. The agreement sets the table for an integrated alliance between Top Rank and ESPN’s industry-leading networks and platforms to allow all forms of Top Rank content, including additional original programming and library content, to reach more fans in a variety of new ways. ESPN+ is the first-ever multi-sport, direct-to-consumer subscription streaming service from Disney Direct-to-Consumer and International in partnership with ESPN and featuring ESPN branded content. It will offer fans thousands of additional live events, on-demand content and original programming not available on ESPN’s linear TV or digital networks. This includes hundreds of MLB, NHL and MLS games, Grand Slam tennis, Top Rank boxing, PGA Tour golf, college sports, international rugby, cricket, the full library of ESPN Films (including 30 for 30) and more. Fans can subscribe to ESPN+ for just $4.99 a month (or a discounted annual price of $49.99 per year) and cancel at any time. Last August, ESPN and Top Rank announced a vast and exclusive, multimedia agreement to make ESPN the home of Top Rank in the U.S. and Canada. Under the agreement, ESPN currently televises live fights on ESPN and ESPN Deportes and streams them on the ESPN App. It also airs all Top Rank content in English and in French on Canadian sister networks TSN and RDS.